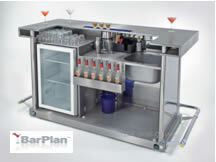 Features: Adds a whole new back bar feature to your home bars. 10mm thick UV luminous acrylic. £1925 including vat. Delivery – please enquire. 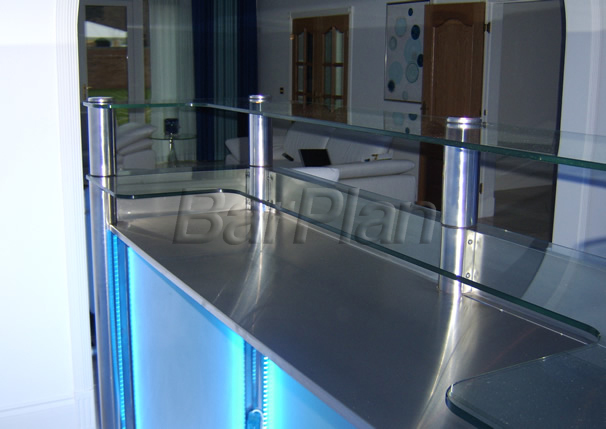 Now to Bars with Brushed Stainless Steel, Acrylic and Neon lights!!! Stunning looks and great value. Perfect for smaller rooms and even more mobility. By far our most popular bar offering outstanding hospitality value. A comfortable 4-5 stool positions, loads of storage and still easily mobile on built in heavy duty castors hidden underneath. 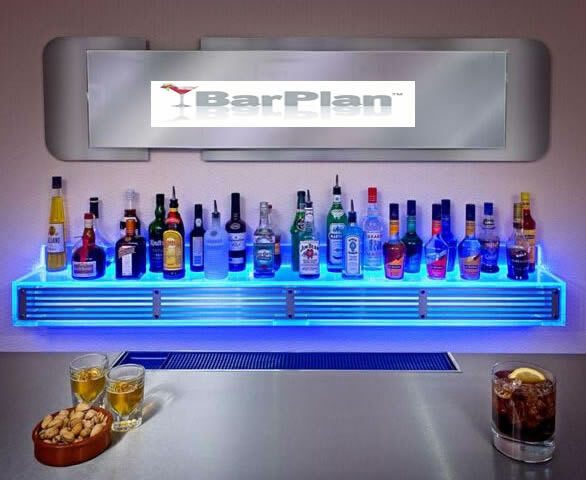 This bar has featured on TV, Exhibitions, Events and in our Press Articles. Hidden castors – rubber soles and twin wheel. 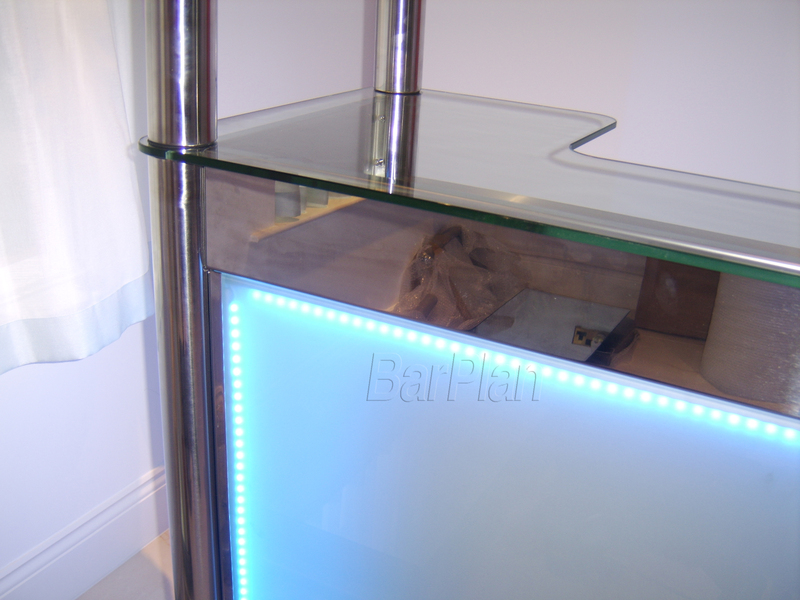 Illuminated acrylic front panels can be engraved with your own design, logo or initials – enquire today. 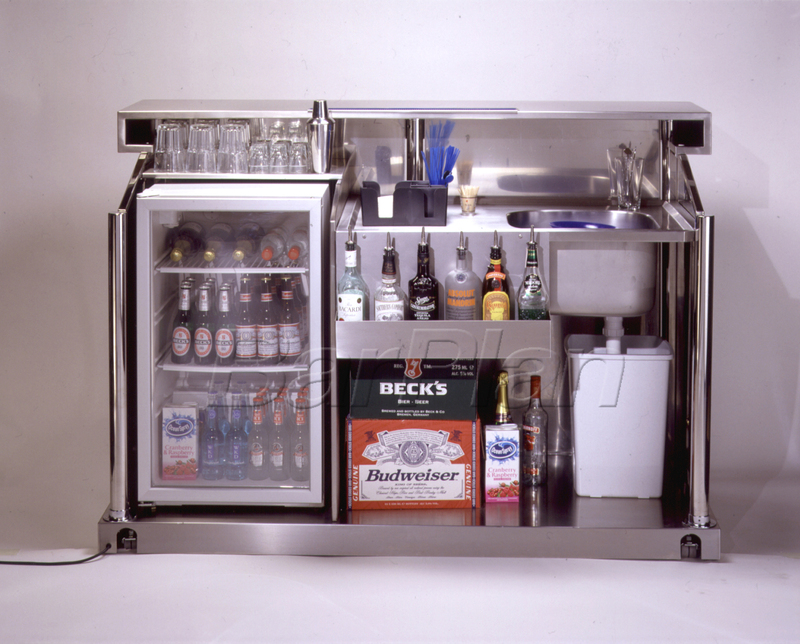 A huge almost 2 metre wide bar for the serious party host. 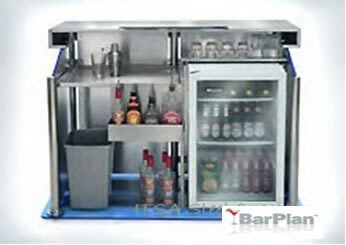 This bar offers vast storage space. 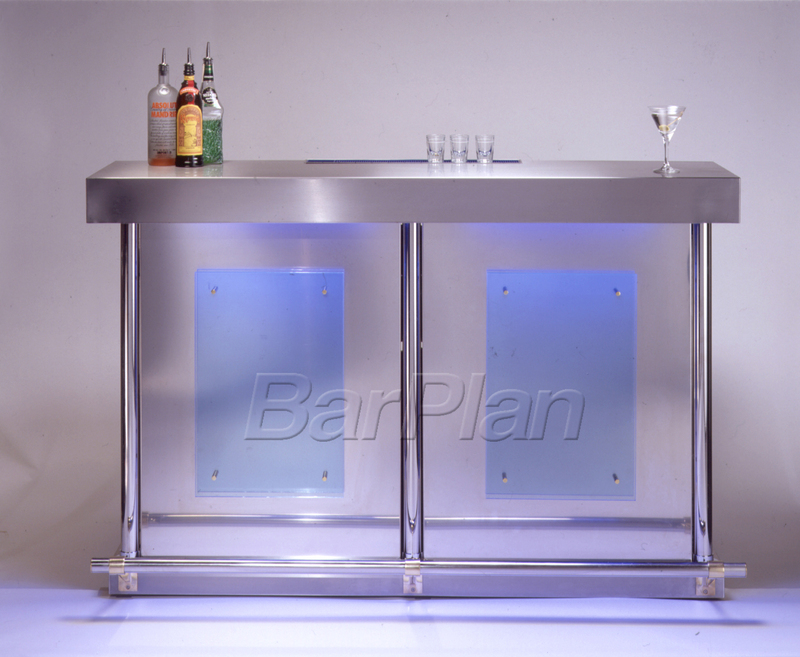 Now for the Ultimate……….Chroma Bar Ultimate…. Top of the range! Width: 2000mm, Depth: 600mm and Height: 1280mm. 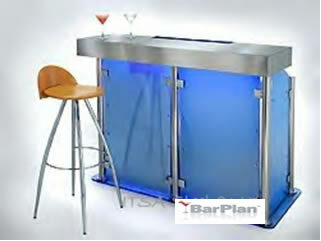 This Bar is constructed using 5 bright stainless steel posts. 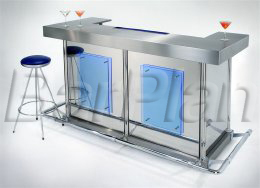 Frosted glass panels form the bar front and sides fixed inside stainless steel frames. 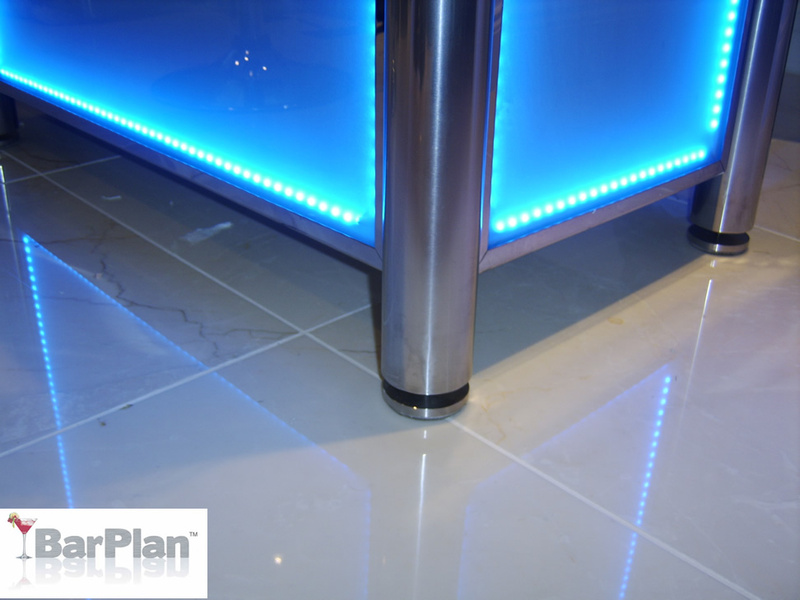 10mm thick clear toughened (safety) glass on the bar top profiled to the shape of the bar and supported with 5 100mm bright stainless steel chrome posts. Frames have blue light illumination through the glass. 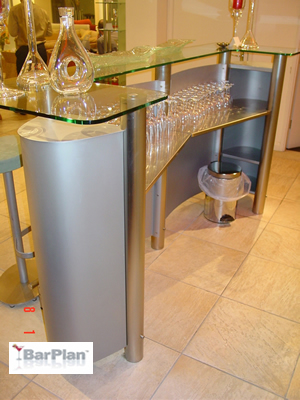 One mid mounted rear stainless steel shelf shaped to suit the bar rear. 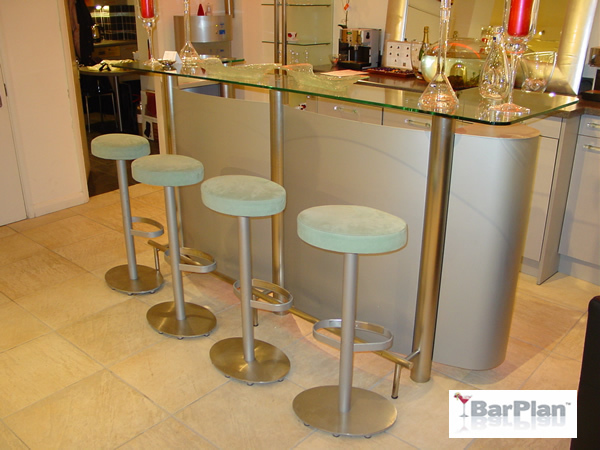 Stainless steel floor aids stability of the bar to be free standing.